Alcohol Action Ireland is encouraging parents to talk to their children about the risks associated with alcohol ahead of the release of the Leaving Certificate results on Wednesday. “Students deserve to go out, celebrate getting their results with their friends and we hope they enjoy marking this milestone in their young lives,” said Conor Cullen, head of advocacy and communications with Alcohol Action Ireland. “We know that, for a significant number of young people, their plans to celebrate this week will include alcohol and this is reflected by the fact that they are being targeted by venues, particularly through social media, with drinks promotions that encourage the type of harmful alcohol consumption that is a threat to their health and wellbeing,” said Mr Cullen. 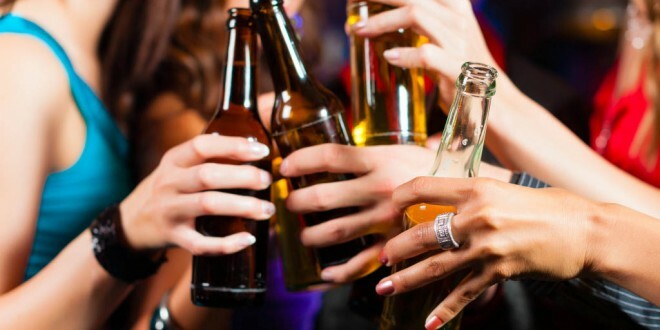 “It is also important to remember that many young people attending venues running these types of promotions will be going there having already consumed alcohol, with the widespread availability of very cheap alcohol on offer in the off-trade, particularly supermarkets, contributing greatly to the increasing prevalence of ‘pre-drinking’. Many young people may not go out to a venue to celebrate, but alcohol could still be involved when they meet their friends and so it is important that parents speak to their children about their plans, wherever they are going,” he said. Alcohol Action Ireland also said that, ahead of the celebrations on Wednesday, there is an obligation on all alcohol retailers – including pubs, nightclubs, convenience stores, off-licenses and supermarkets – to be particularly vigilant in ensuring that they are not selling alcohol to minors. * Help your son or daughter plan their evening by discussing it with them, and be particularly supportive of non-alcohol related activities. * Find out what they will be doing, who they will be with, where they are going and how – and at what times – they plan on getting there and coming home. If concerned, ask them to pop into you when they get home just to reassure you that they are alright. * If you know they are planning to drink, it’s a good time to have a general chat about alcohol as it will undoubtedly be a major topic of conversation ahead of the Leaving Cert celebrations. Clarify what their own ‘dos’ and ‘don’ts’ are around alcohol and what your expectations of their behaviour are. Help your son or daughter in thinking through what could potentially go wrong (e.g. if they or one of their friends drinks too much) and how they might deal with these scenarios. * Let your son or daughter know they can call you without fear of recrimination if they feel unsafe or unwell at any point. They need to know that, as parents, while you may not be happy with the fact they may have been drinking, or how much alcohol they consumed, their safety and wellbeing is your priority and that they are to contact you immediately if they feel they are in trouble. * If the night does go well, be interested in it afterwards. Ask them if there were any ‘near misses’ for themselves of those in their company or any other tricky situations they encountered. Help them to think through how they dealt with the situation and what they might do differently next time. If your son or daughter did stick to any agreed boundaries or expectations, let them know that you appreciate that.